Monday 15th: Klingons v LM Explorers; points 6-8, shots 91-100. 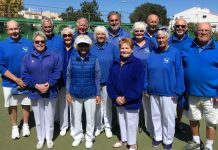 Winners: Kath Reid, Neil Morrison, Ian Kenyon 19-18, Janet McEneany, Ann Holland, Peter McEneany 18-16, Margaret Morrison, Sabrina & Russell Marks 18-10. Trekkers away v EI Moonrakers 9-5, shots 111-82. 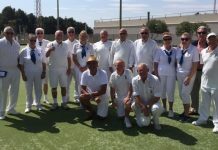 Winners: Shirley Verity, Jo & Jules Pering 20-12, Helen Hammond, Barry Roseveare, Scott Malden 26-9, Marina Beardsall, Les Bedford, Brian Pocock 16-16, Ros Holmes, Bill Webb, Barry Edwards, 23-11. 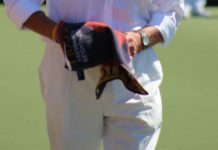 Vulcans, v HO Falcons, rain postponed. Romulans v Mazarron Miners, good result 10-4, shots 119-86. 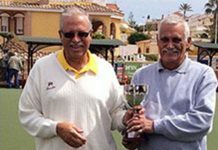 Winners: William Holtham, Ralph Jones, Harry Epsom 18-18, Pat Baylis, Mary Fromson, Terry Baylis 36-8, Tony Davies, Lyndon Johnson, Danny McErlean 21-14, Marion Davies, Chris Phillips, Tom Fromson 16-16, Rhys Davies, Robert Bruce, Malcolm Ayton 15-12. Wednesday 17th Winter League away v La Siesta; excellent 12-0, shots 102-54. 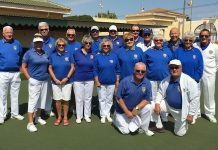 Winners: Lynne Morris, June Jones, Peter McEneany, Keith Jones 19-9, Shirley Verity, Ray Clarke, Jules Pering, Russell Marks 27-9, Kath Reid, Neil Morrison, Scott Malden, Ian Kenyon 19-10, William Holtham, Keith Phillips, Giuseppe Galelli, Sabrina Marks 17-8, Lynne Morris, June Jones, Peter McEneany, Keith Jones 18-13, Irene Everett, Ann Holland, Brian Pocock, Tom Hill 21-14. 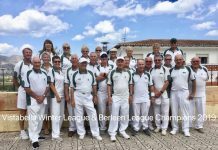 Berleen team winners: Sheila Cammack, Charlie Marigold, Jo Pering, Vic Slater 16-15. FED 4’s league Thursday 18th Condors away v SM Apaches, good result 6-2, shots 56-50. Winners: Ros Holmes, Les Bedford, Peter McEneany, Mike Regan 23-11, Steve Simmons, Margaret & Ray Clarke, Brian Pocock 20-18. Bazas home v CBowls, good result, 6-2, 57 shots-47. 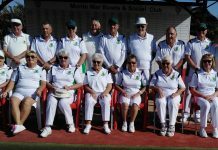 Winners: Pat Tilley, Ralph Jones, Mary Fromson, Charlie Marigold 16-15, Kath Waywell, Bob Bromley, Harry Epsom, Drew Russell 30-6. 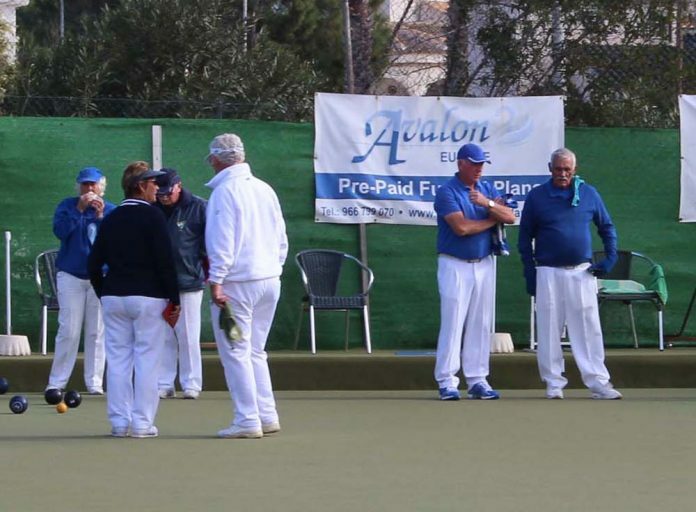 Friday 19th Southern League: Lions, v MM Matadors, good result 11-3, shots 127-85. 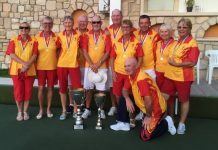 Winners: Pam Lockett, June & Keith Jones 20-9, Kath Reid, Neil Morrison, Ian Kenyon 26-12, Bob White, Sheila Cammack, Giuseppe Galelli 14-9, Janet McEneany, Steve Simmons, Peter McEneany 21-21, Lynne Morris, Ray Clarke, Tom Hill 38-8. Tigers v LS Blues, good points 10-4, 124-93. 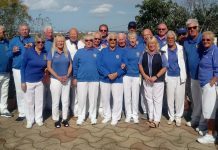 Winners: Beryl Regan, Marina Beardsall, Mike Reagan 38-10, Irene Everett, Bill Webb, Vic Slater 19-12, Ros Holmes, Mike Smith, Barry Edwards 20-19, Shirley Verity, Jo & Jules Pering 17-15. Leopards; away v ER Broncos 8-6, shots 133-91. 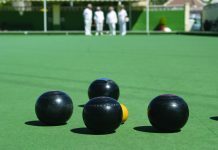 Winners: James Wright, Kath Waywell, Bob Bromley 20-15, Ray Watmough, Marie Henly, Dave Steadman 30-6, Derek Barker, Chris Jackson, Drew Russell 41-9. Pumas v VB Conquistadors, no details 10-4, 121-88. 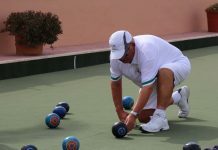 Information: www.sanluisbowls.byethost7.com or contact June Jones, Club Captain: 691903773.